Thirty years ago I left Berkshire College of Art and Design after two intense years of photography. Photographers, artists, designers and academics gave me a grounding in photography theory and practice and set me up with the skills to pursue photography as a career. So much has changed since those days with the technology, the career options and the closing of art colleges, including BCAD. But, even though I have had to learn a new set of digital skills,the analogue knowledge I was taught and practiced continues to be relevant. 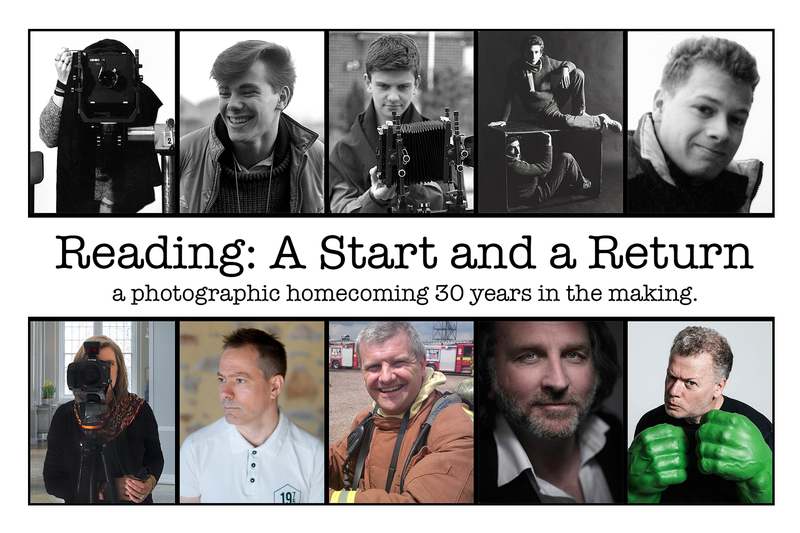 To mark the passing of three decades I am joining with some of my fellow photographers from BCAD to put up a small exhibition of past and present work. It’s an opportunity for us to hang out in the gallery, reflect and talk photography and life. We hope you’ll visit and share your photography and thoughts with us! The gallery itself is on the Kennet river, a stone’s throw from the site of BCAD, now Reading College, on King’s Road. Whilst the exhibition is on I hope to spend some time exploring the same streets I walked and photographed 30 years ago. I’m planning some casual photo walks maybe you will join me. For more information please check out our exhibition website where you’ll find directions and details of events as they are added or send me an e mail. You’ll also find the photographer’s links to their websites, twitter and email. We’ll be tweeting under the hashtag #readingreturn.